What I Like: For quite a while, I really thought that these guys were done. The band peaked over a decade ago with the self-titled debut and Iron, and then we lost the seemingly irreplaceable Jari. The band stumbled a bit with From Afar, but ultimately rallied for Victory Songs...albeit retreading familiar ground. Unfortunately, the largely flat and stale-sounding Unsung Heroes seemed to mark a final nail in the coffin. However, these Finnish warriors were simply down, but not out, rallying again with One Man Army; an album with some issues in pacing but a renewed sense of youthful excuberance. Viking metal can be a young man's game, so it's impressive to see a group getting on in years hit both studio and stage as if they're still in their 20's. And now with Two Paths, it is clear that Ensiferum have taken the correct turn at the fork where they last left us. The band's most quality work has always hinged on two basic elements: killer riffs and pint-swinging tavern energy. Both of these are required to sell their campy aesthetic, and on this album they have absolutely nailed them. You throw on a track like "God is Dead" or "King of Storms" and one is simultaneously compelled to shred air guitar and buy a round for the bar. While I appreciated the band's flirtation with more progressive, slow-burner elements a la Wilderun on One Man Army, I am thankful to see a return to average song lengths and increased RPM's consistently throughout Two Paths. There are still some slower tracks towards the end with mournful wind instruments and church bells, but they fit better as a brief conclusion than a large portion of the album. And as a final note, the accordian playing is simply stunning. Netta Skog is now a full time member of the band, and her performances honestly trump their past synthesizer work in every possible way. Critiques: I think my only major critique of this album is in the clean vocals. I am thankful for how they break up the melodeath screams, and they have a certain genuineness and folky charm, but something feels missing. Whether it's simply a production choice or the performance itself, I feel like it could be better. Other than that, I wouldn't disagree with a reviewer who said this was the band just replaying repackaged old hits, but like Slayer and Amon Amarth, they know their schtick and they do it well. If it ain't broke, don't fix it. Would have been nice for another "Two of Spades" Western experiment though. The Verdict: Great Oden's ghost, guys. I was prepared to write a bit of a fluff piece and move on quickly to my next album for review, but I can already see that I'll be spending quite a bit of time with Two Paths. 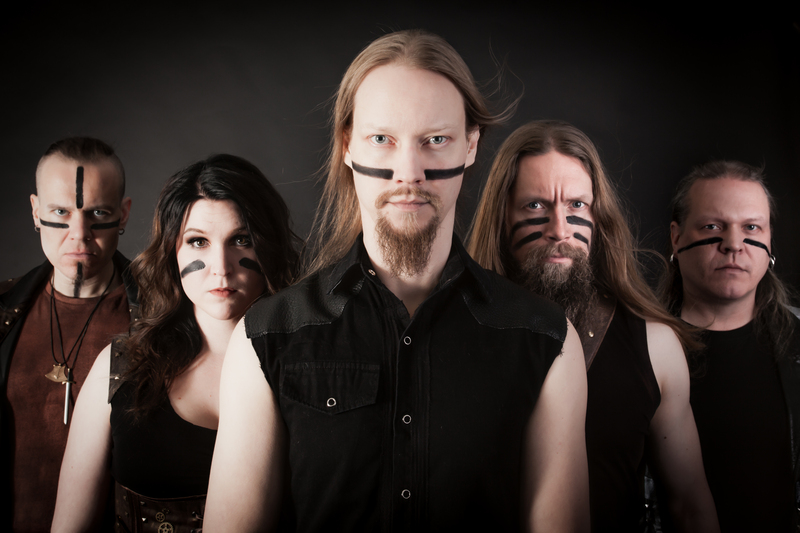 It's a glorious return to form for Ensiferum, and one that will hopefully catapult them forward into a new era of folk metal supremacy.